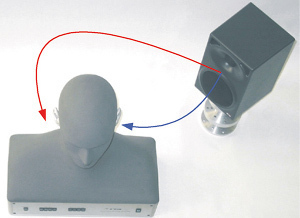 HRTF (Head Related Transfer Functions) refers to a technique used in audio recordings in order to produce binaural signals from a monaural source. 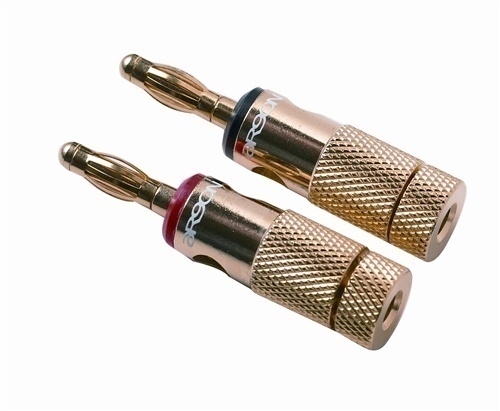 While monaural signals refer to sounds that a signal source produces and both ears hear them at varying distances and frequencies, binaural signals refer to sounds that two separate sources produce and that each ear hears at the same distance and frequency. Stereo systems often produce monaural sounds while earphones produce binaural sounds. HRTF algorithms rely on four principles: distance, azimuth, elevation, and frequency. Distance refers to how close or far away the source is from the listener, azimuth refers to how far in the left or right directions the source is from the listener, elevation refers to how high or low the source is from the listener in reference to height, and frequency refers to how fast the source produces each wavelength. HRTF algorithms use all of these factors to calculate the best possible outputs that a sound system can produce in order to convert monaural sounds to binaural sounds. HRTF is used in many different applications. For example, when a recording studio produces a song, it creates the file in a way that is ideal for both monaural and binaural sound equipment so that all listeners can receive the same quality. HRTF is also used in gaming technology that allows players to hear in-game sounds as if they were coming from all directions rather than from a single source. HRTF is advantageous because it can significantly enhance the quality of a sound that earphones produce. 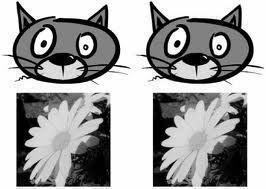 Rather than requiring the brain to infer a sound’s direction, HRTF sounds are able to tell the brain exactly where they are coming from, causing the brain to think they are much louder than they really are and coming from all directions rather than a single source. 180 queries in 0.245 seconds.